Featuring 44 artists and over 100 works of art, INSPIRE is an exhibition supporting to supporting disaster relief efforts of ART from the ashes honoring the spectrum of talented artists who have donated artwork to its 2009-2010 exhibitions. For INSPIRE, each participating artist has created at least one AFTA inspired work that incorporates reclaimed fire site materials. Additional artwork by each artist reflects their creative diversity and choice of medium. 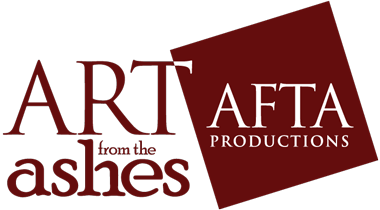 Proceeds from the sale of art are shared by AFTA and participating artists. Special thanks to the City of Glendale for welcoming us back!